When I was expecting my second daughter and was rather large and round, my pants fell off as I walked down a city street - Cambridge Terrace - in Christchurch. I read. I walk around my garden. I go to sleep (I do this quite easily). Who inspired you when you were little? Rudyard Kipling, Beatrix Potter. Later I was thrilled by books written by Mary O’Hara: My Friend Flicka and Thunderhead. I was talkative and probably rather annoying. I tried to live stories and make other people believe they were true. What was your favourite/most hated subject at school? My favourite subject was English which included writing essays (they were called “compositions” in those days). My most hated subject was probably mathematics. I grew slower and slower at solving the problems we were given. In my last exam (when I was in the Fifth Form) I got 10% out of 100%. Years later, as an adult, I took a correspondence course in mathematics and quite enjoyed it, but the ways of teaching mathematics had changed by then. What was the book you most loved as a child? I loved a great mixture of books… King Solomon’s Mines by Sir Henry Rider Haggard. The Little White Horse by Elizabeth Goudge. I loved the stories of Pooh Bear by A. A. Milne and I read and re-read Grimm’s Fairy Tales. Which person from the past would you most like to meet? I would like to meet Lewis Carroll - the author of Alice’s Adventures in Wonderland, Through the Looking Glass, and The Hunting of the Snark. Who is your favourite author/children’s author? I don’t really have a favourite. I have a whole lot of favourites. One of my favourites is the British author Diana Wynne Jones. I think it was because I was a keen reader. I think I wanted to squeeze myself right into the stories I read, and I think I managed to do this at times by writing stories of my own. Do you have a special place where you write your books? I write in my bedroom - but it is also my study or workplace. The fax machine is right beside my bed. (My old cat likes to sleep on the fax machine which is always warm). Next to the fax machine is my computer, and next to the computer is the printer. Then there are books and many piles of paper. What’s the best thing and worst thing about being a writer? It is wonderful when someone says they have enjoyed some story I have written. Of course it is wonderful to be paid for a story. The worst thing is writing and rewriting something - and then re-writing it again. Sometimes a writer knows something is wrong with a story - but can’t quite work out what it is. If you weren’t a writer, what would you like to be? I would probably be a librarian which is what I used to be before I became a full-time writer. I enjoyed many things about library work, and knew more books then than I do now. I think writers have to be quite tough. They often have to put up with disappointment. Even when you have been published for many years publishers can still turn down stories, even stories the writer has worked on for days and weeks and months. I think writers ought to read a lot, and it is often good to be working on more one story. If your first story does not work out it is comforting to have another story to fall back on. Most writers have to work hard - to write and re-write their stories. Good luck! 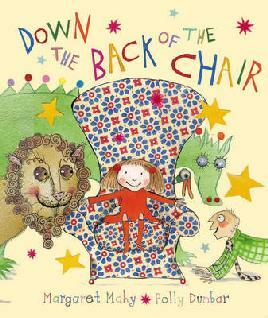 Read posts featuring Margaret Mahy from the Christchurch Kids Blog. This interview is from 2002.